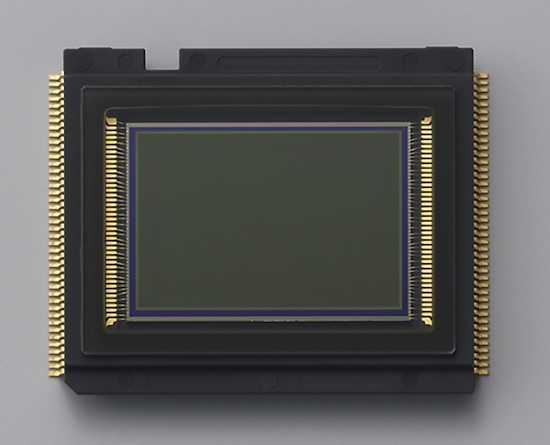 "Nikon have announced that they designed the sensor. Nikon has no wafer fabrication capability so they outsource the sensor production, but they are keeping the foundry close to their chests, so close that we must speculate to identify the source. The obvious choice would be Sony, who build the sensor used in the Nikon D2X, however there are no Sony markings on the device, and the device structure is markedly different from the other Sony CIS we have analyzed. We considered Matsushita/Panasonic the device structure has similarities to the Panasonic CIS we have seen, but it is sufficiently different that we have doubts that it is theirs. Thus we are speculating who else could be the manufacturing source. I believe Nikon would stick with a Japanese foundry. An interesting possibility is Renesas, they have close ties with Nikon, supplying several imager processor chipsets, they have a patent portfolio in image sensors indicating they have active r+d in this field, and they have the fab capabilities." This entry was posted in Nikon D3100, Nikon D3s, Nikon D90 and tagged Chipworks. Bookmark the permalink. Trackbacks are closed, but you can post a comment.